Colorectal cancer (CRC) is the third most common malignancy and the second leading cause of cancer-related mortality worldwide . Metastasis, a multi-step complex process involving multiple factors, is still the main cause for CRC-related deaths . Circulating tumor cell (CTC), originating from primary tumor or metastatic sites, is considered to be the precursors of metastases . Previously, our group reported several methods for CTC capture and identification, and demonstrated CTCs detection was closely associated with multiple clinicopathological factors that predicted high metastatic risk in different solid cancers, including gastric, colorectal and hepatocellular cancer [4–7]. Subsequently, we found that only quantifying the CTC count is not sufficient to explain the important role of CTC in the metastasis process, nor can it understand the mechanisms of CTC-mediated metastasis. Meanwhile, we also found that CTC could undergo epithelial-mesenchymal transition (EMT). Moreover, numerous studies demonstrated mesenchymal CTC (MCTC) had more prognostic value than total CTC, which was positively associated with tumor progression and poor patient’s survival in CRC, and knowing about the phenotype traits of CTC could give more information about CRC development [8, 9]. 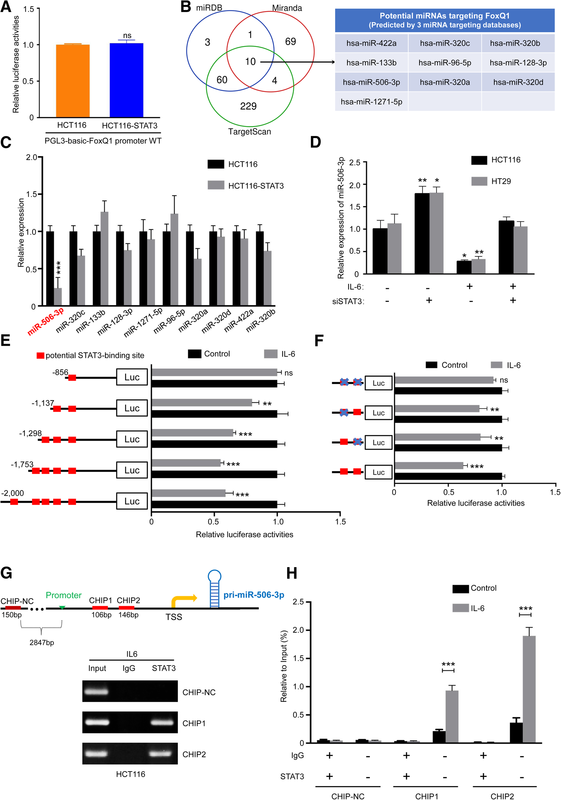 Currently, EMT in cancer, as known to increase cell motility and invasive potential, has been proposed to play the critical role in CTC generation . CTC, which gains more mesenchymal traits by EMT, is easy to survive and metastasize [11, 12]. Therefore, exploring the underlying mechanisms of CTC EMT have great significance for further understanding the metastatic process in CRC. Tumor microenvironment (TME) represents the necessary prerequisite for cancer progression and metastasis . Macrophages in the TME, referred to as tumor-associated macrophages (TAMs), are one of the most abundant types of cells, and exhibit different phenotypes and functions in response to various microenvironmental signals generated from tumor and stromal cells . At present, numerous studies have showed that the localization and density of TAMs are associated with poor clinical outcome in several kinds of solid cancers, including bladder, breast, renal, prostate and gastric cancer [15–19]. In terms of CRC, the exact roles of TAMs are seem to be somewhat contradictory [20, 21]. 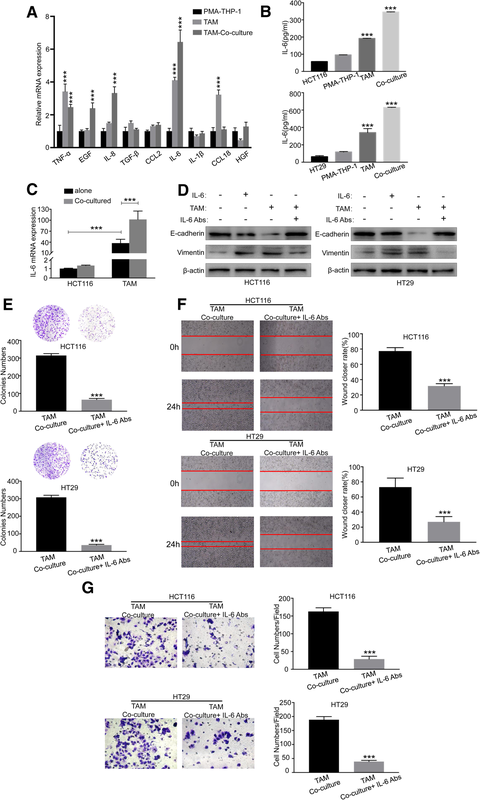 Noteworthy, emerging studies have suggested that TAMs play important roles in tumor metastases by regulating EMT of cancer cells. 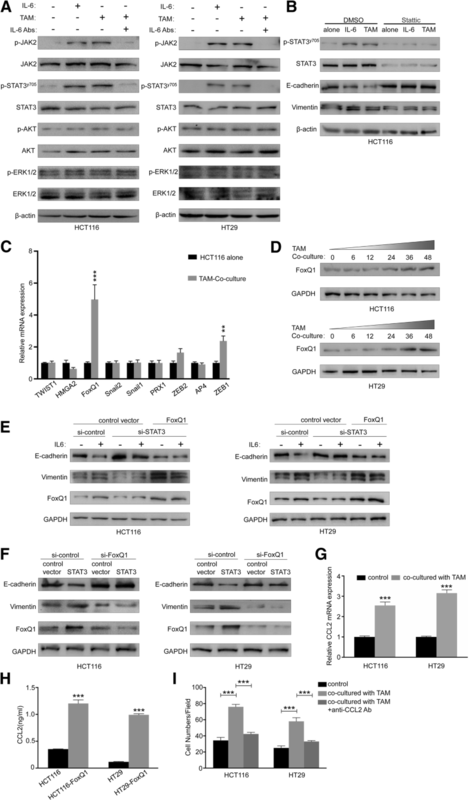 In hepatocellular carcinoma (HCC), HCC-derived IL-8 stimulated the M2 polarization of TAMs, which promoted the EMT and invasive potential of HCC cells . 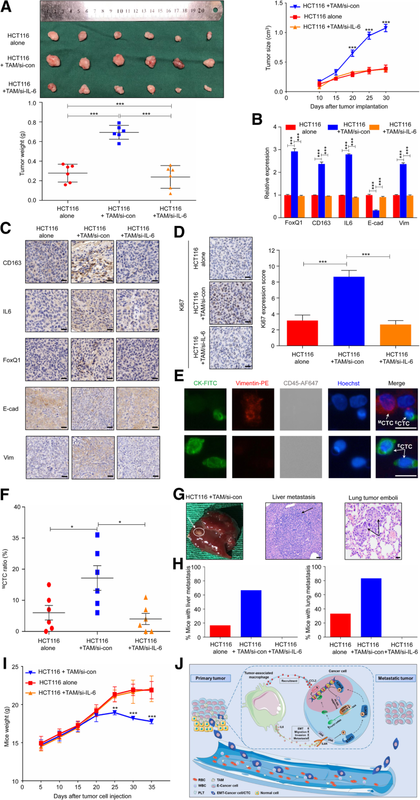 Additionally, Wang and colleagues revealed that pancreatic cancer (PC) cells activated macrophages to the M2 phenotype, which then promoted EMT progress to increase migration and invasion of PC cells . Reciprocally, Su et al. 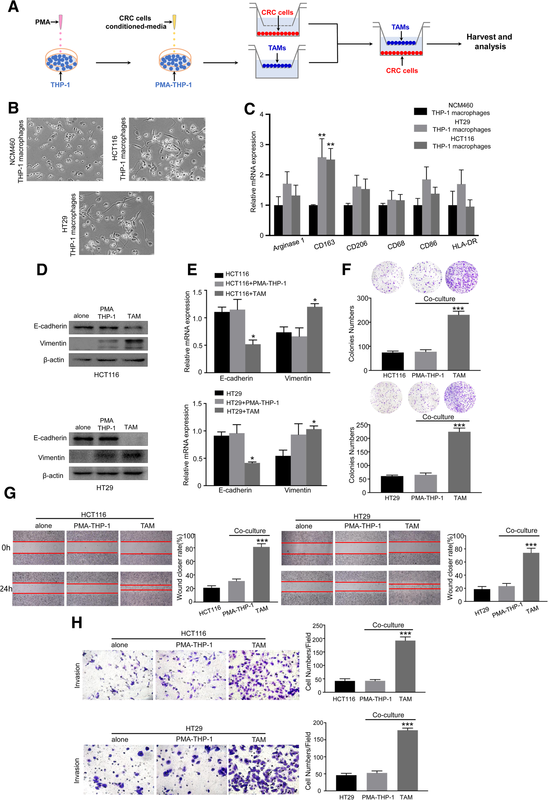 showed that cancer cells that have undergone EMT secreted GM-CSF to promote macrophages recruitment, thereby mediating breast cancer metastasis . However, the roles and mechanisms of the crosstalk between TAMs and cancer cells in EMT of CRC are still unclear.